This book is unique… It is truly an international celebration…In a wealth of beautiful photographs RUN TO THE SUN covers all aspects of the grand festival. 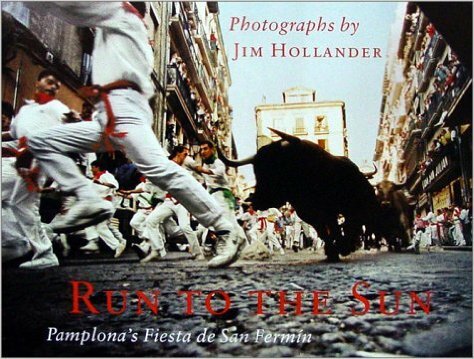 Tags: Jim Hollander, run to the sun, San fermin, Toro. 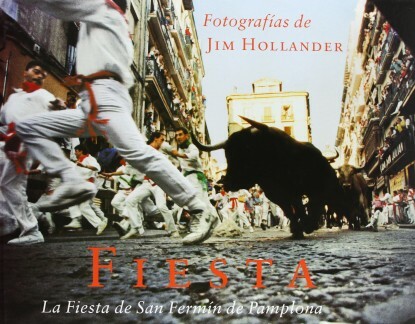 This book is unique… It is truly an international celebration…In a wealth of beautiful photographs RUN TO THE SUN covers all aspects of the grand festival. It will evoke nostalgic memories for all who have run with the bulls through the historic streets and alleyways of Pamplona. And for those who have never made the pilgrimage to this shrine of bullfighting, the pictures will provide an exciting introduction to one of the great adventures left in the world for the average citizen who can make it to the famous city. I recommend this book to everyone who enjoys exciting experiences. It´s the next best thing to going to Pamplona itself.